Cowabunga, Super Zero listeners! We finish off Phase One of the podcast with a special bonus episode in which everything is upside-down: because Alia’s the expert, Matt’s the newb, and mutant turtles are running riot in the sewers of New York City! This raises some obvious questions, like: How do you read comics on YouTube? Which Ninja Turtle might be kinda gay? And were any of the turtles ever beheaded? 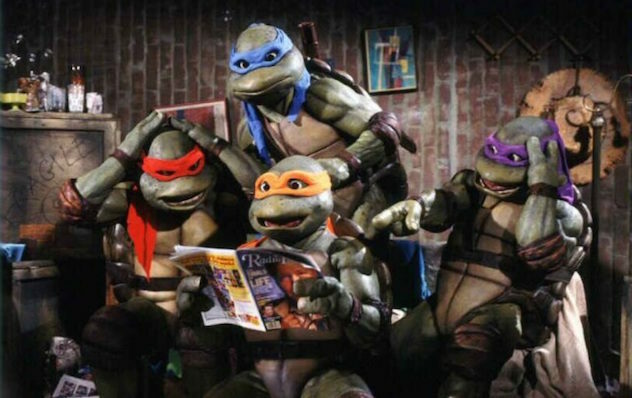 It’s an astonishing outpouring of information in the opposite direction as Super Zero takes on the turtletacular 1990 film, TEENAGE MUTANT NINJA TURTLES!